Who really knows their Right from their Left? The traditional Right vs Left brain conversation is not giving us the complete picture. New findings suggest that people are not necessarily more functional on one hemisphere of their brain over the other. I have done personal research on my brain and the brains of those who have participated in my art classes and found the results staggering. First of all, let me assure you, your right brain is not any more creative than your left. Each of these personality types, those types we like to call right or left brainers, are capable of tremendous creativity. Since left brainers are literal, language based, analytical thinkers, they excel in poetry and mathematics. But to be a good writer or mathematician, one needs to see in pictures. No one would argue that Einstein was a creative thinker. But here’s where it gets interesting. 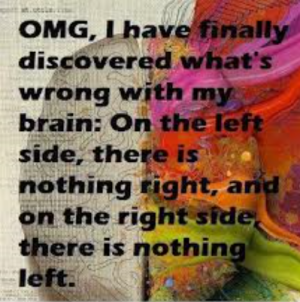 The left brain tends to deal in the realm of ideas, which can be highly creative. But the pictures left brainers see tend to be idealizations of things. What they see are symbols. Often they are archetypes of things with which we are familiar, i.e. a perfect rose, a bird singing, an equation. The juxtaposition of these different benign elements is what creates something entirely new, something dangerous, called art, or a nuclear bomb. This is the left brain in its element. The right brain is actually far less “creative.” Wheras the left brain deals well with conception, the right is better at perception. 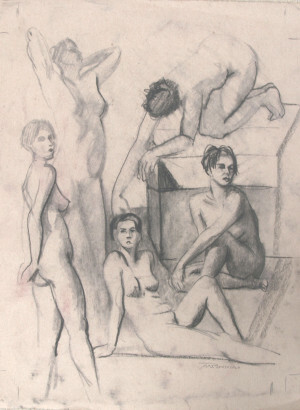 Observational seeing and drawing is more of a right brain function. The right brain does very little interpretation. It accepts reality as it is and allows us to see past what we think or feel (idealize) and see what actually is there. It does this by abstracting reality into non-things. The right brain has no language. It sees in shapes and relationships between these shapes and makes amazing visual connections. The left brain can interfere in this right brain thought process by naming these abstract forms. The left brain says, “you want a hand? I’ll draw you a hand,” proceeding with what is usually a child’s idea of a hand, rather than anything like a real hand. The left brain wants to break what it sees into things. The right brain wants to break what it sees into shapes. The right brain also sees the subtle differences in value, hue and chroma. 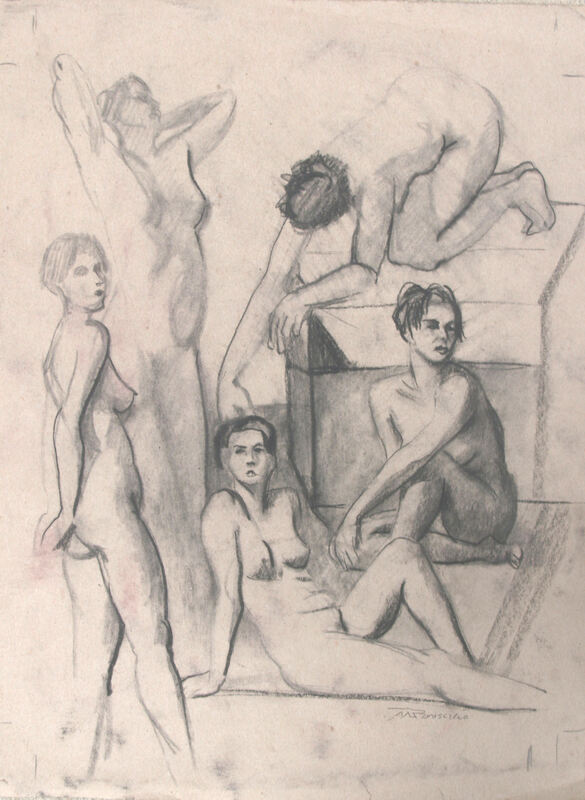 To draw or paint observationally, listen to your right. If you want to go where no one has gone before, your left brain will get you there faster than you can draw a straight line. “Greenhorn” by NETI, 24″ x 24″ oil on board. Ultimately, the artist must develop both functions of the right vs left brain continuum to fully develop. This NETI (right) is a combination of right brain (the figure, the use of light) and the left brain (the invention of creatures and the juxtaposition of in-congruent elements). After all is said and done, one thing is certain, we only have one brain and billions of potential connections to be made. Fascinating, Rob. I do like your point of view on the sides of the brain – much better to put both halves together instead of splitting it as most articles do.